YouTube Multi-Instrumentalist sensation Pedro Esparza lives in Wilmington, NC and performs across the east coast. By mixing genres from Jazz and Video Games, Pedro has created a whole genre of fun and creative video game music using improvisation techniques as well as modern pop and funk beats to an already new genre. After graduating from the University of North Carolina Wilmington, he jumped right into music production and performance. Not only does he perform in the local scene, but also on his own YouTube channel where he performs his favorite music, as well as educate his viewers into learning more about how to take their playing to the next level. 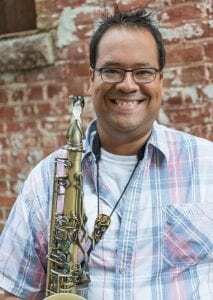 With saxophone, clarinet, and flute tutorials on basic tone production, and many technique and tips, he’s known as an influential music education across the YouTube community. As a producer, he’s produced many songs that have been featured across other YouTube channels and even some gaming magazines. You can check out more of his videos on his channel MusicByPedro , where he uploads videos and tutorials every week.